The Energy Policy and Technology Outlook Conference will be held at the Fairmont Hotel at 2401 M Street, NW, Washington, DC 20037. NASEO has reserved a block of rooms under the name Energy Outlook Conference for $183/night. The deadline for hotel reservations is Friday, January 27, 2012. You can use the online link below or you can call (202) 429-2400. 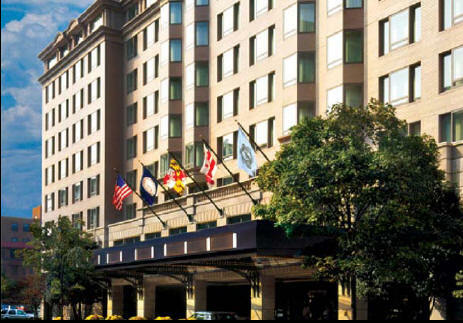 Located in Washington's fashionable West End and adjacent to historic Georgetown, The Fairmont Washington, D.C. welcomes guests in capital style. A sunlit urban oasis that soothes the spirit, the Fairmont, perfect for business or leisure travel, celebrates many local Washington traditions. Known for its engaging service and stylish surroundings, the Fairmont offers 415 spacious guest rooms and suites that provide our guests a welcome retreat. A relaxing visit to the Fairmont Fitness Center, indoor pool and serene courtyard garden will also provide guests with an array of rejuvenating experiences.